My colleague Genelle Pugmire reported Monday that a number of downtown businesses are receiving grant money to make improvements. 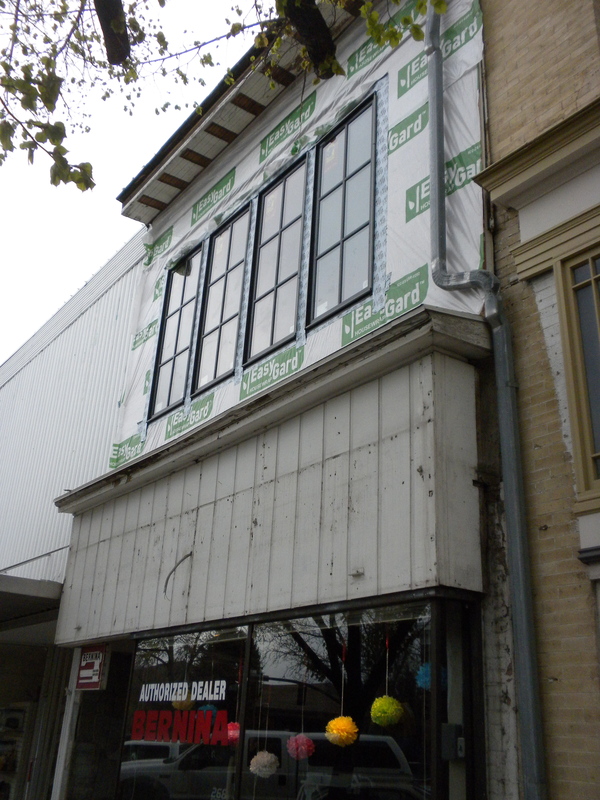 All told, at least thousands of dollars are being spent to improve some of the older, more dilapidated buildings. Others are getting “blade signs” that stick out from the buildings. A soft opening party, “Cinco de Frio,” will be held Monday from 11:30 a.m. to 1 p.m. in the Center Street Cafe inside the convention center. Improvements at Bernina in downtown Provo, as of a couple of weeks ago. The Utah Valley Convention Center officially opens May 12, but will hold a soft opening May 7. In light of my earlier post today on City Creek, I thought I’d share a few photos of Orem’s University mall. These photos were taken a week or so ago, when Laura and I ventured up to the mall to see how it was faring in the wake of Nordstrom’s departure. The parking lot around Nordstrom was basically empty, much as the mall's north parking lot has been since the departure of Mervyn's a few years ago. I was prepared for the worst, so seeing even a few people in the mall was a pleasant surprise (economically at least. I have no inherent love for malls). But a few people wandering around hardly makes a healthy mall. Indeed this picture is notable for all the empty space: empty chairs, vacant pathways, etc. 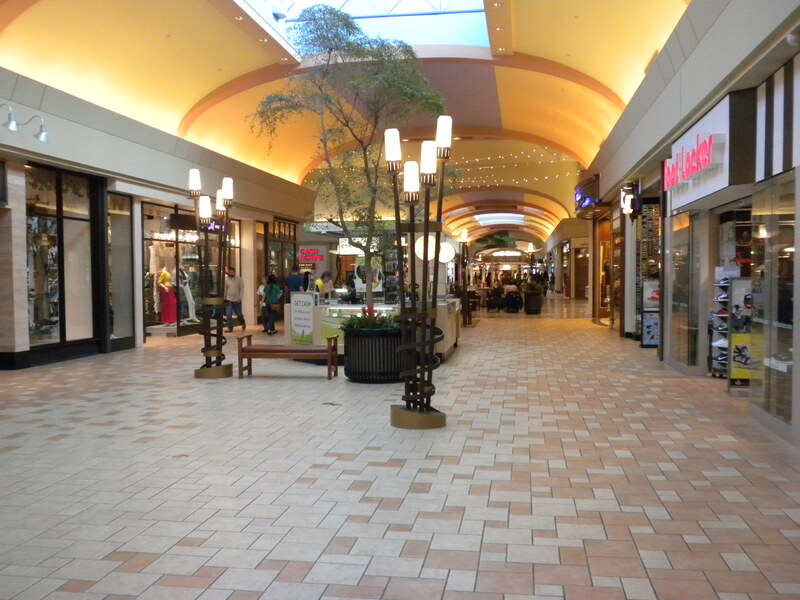 As these pictures show, the University Mall is not terrible, as far as malls goes. Aesthetically it's far superior to Provo's mall. But these pictures also show that at least on the evening I visited, it was far under capacity. You can be the judge as to whether these pictures reveal a healthy retail environment or a failing one. It should come as a surprise to no one, but according to an initial report by ABC 4, City Creek isn’t helping surrounding businesses. ABC’s article seems to be as much a rough collection of notes as an actual news report, but the main idea it’s trying to convey is that since the opening of City Creek, most other area businesses have returned to their pre-City Creek activity levels. The article points out that the surrounding businesses haven’t necessarily been hurt by City Creek. However, as an engine of widespread and overall downtown growth in Salt Lake, City Creek already appears to be failing. As I mentioned above, this fact should surprise no one. Some buildings and developments are designed to disperse people into surrounding areas. Others are designed to contain people within a boundary. 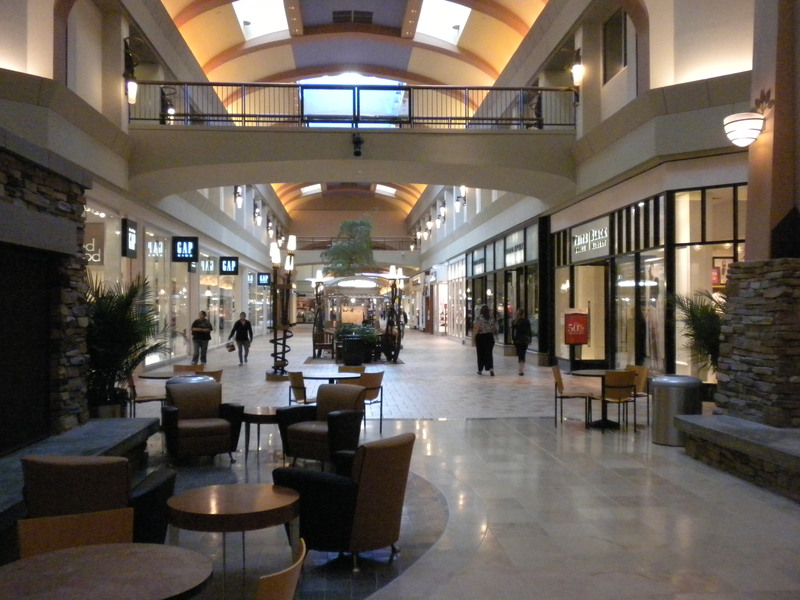 Malls — even the best of them — inherently fall into the latter category. 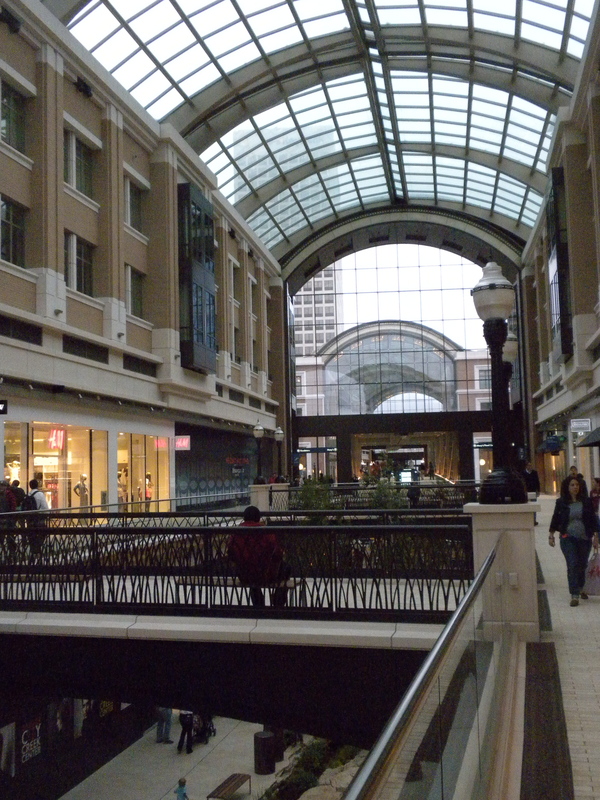 City Creek is beautiful, but as a mall it's generally designed to focus people inward, or in other words to contain them. That means that few visitors actually get out into the surrounding areas of downtown. Obviously, the long-term impact of City Creek remains to be seen. 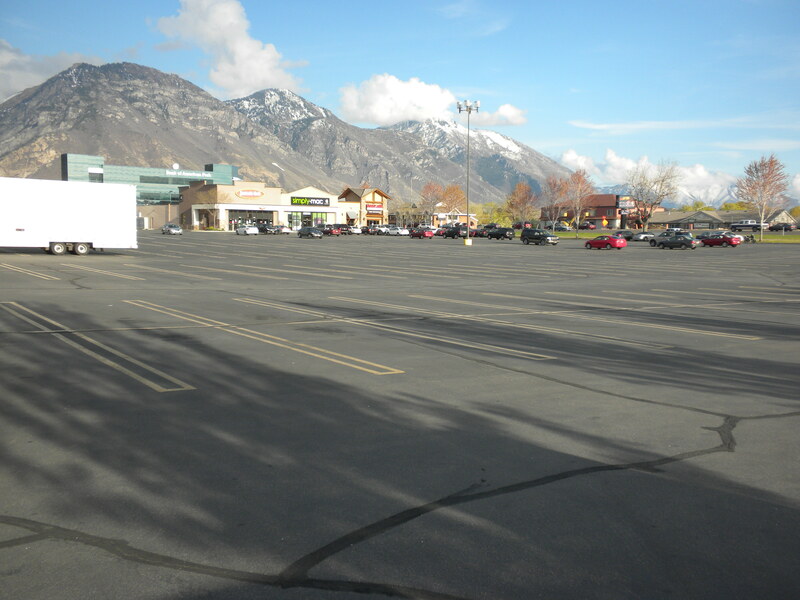 However, for the time being it appears that the benefits of LDS Church’s $2 billion “investment” in downtown Salt Lake City may be limited to the actual mall facilities themselves. This news should serve as a major wake up call to Provo. There are people in Provo who would like to see a City Creek-style development in downtown Provo. I’d certainly love to see a major financial investment in downtown, but as City Creek demonstrates, there are better development models to use than malls. In general, any downtown development should be undertaken with an eye to dispersing pedestrian traffic through both new and existing spaces. ABC’s report may also foreshadow the what is about to happen with the upcoming Tabernacle Temple and the Utah Valley Convention Center: these two developments may ultimately contain their users, rather than dispersing them into downtown. Sadly, no one seems to be seriously considering this very real possibility. 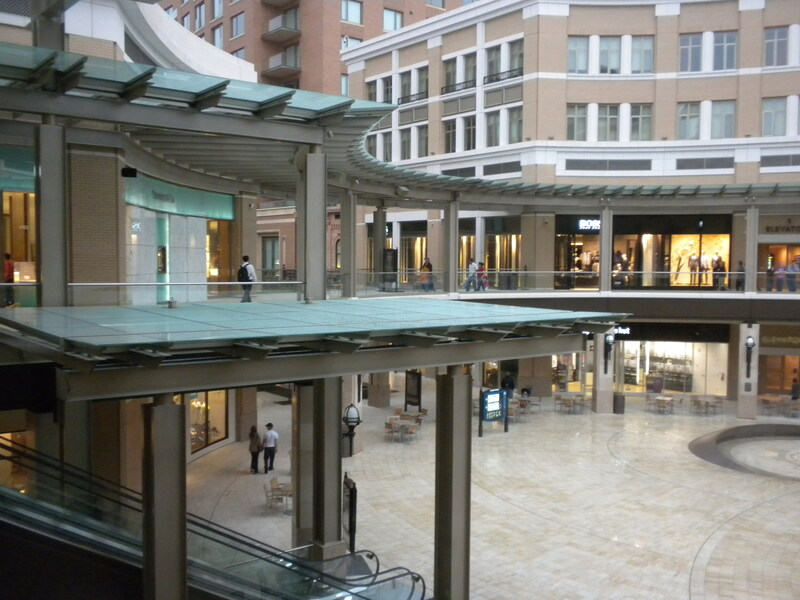 However, City Creek demonstrates that wide-eyed optimism and a mountain of cash simply aren’t enough. Indeed, I can envision a few years from now ABC running almost the exact same report, but with the words “City Creek” replaced by the words “Provo City Center Temple.” And in the case of the temple, it won’t aim to generate any significant income on its own — unlike City Creek — meaning the economic benefits may be fewer than many people hope. The heartbreaking thing about this whole issue is that unlike Salt Lake City, Provo’s downtown development still has the potential to avoid the the inadequacies of City Creek, but we nevertheless seem to be marching in that direction anyway. Ultimately, there’s no reason to be pessimistic about downtown Provo, but we’d be fools to ignore evidence that may very well spell trouble. City Creek is a beautiful mall, but it's still a mall and as such doesn't necessarily encourage people to patronize non-mall businesses. Though the objectives are different, Provo's upcoming LDS temple and convention center may also fall into the same trap. This weekend I spent a couple of days in Escondido California. 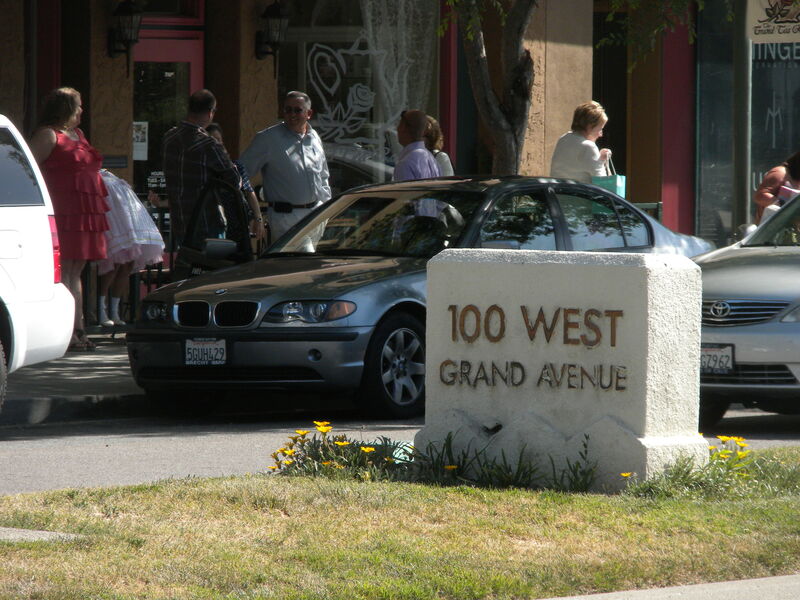 Much like Provo, Escondido has a historic downtown, as well as a similar population size and density. Escondido is, however, wealthier and has a higher average age than Provo. Anyway, the two cities could learn a lot from each other, and some of the things I observed in Escondido would make fine additions to Provo. It’s worth noting here that downtown Escondido is both geographically larger as well as more sprawling than the more compact downtown Provo. It also seems to have a slightly low retail vacancy rate and slightly more foot traffic. Below I’ve include a few pictures I took when I had a chance to wander around downtown Escondido for a while. Fittingly for a city in Southern California, Escondido has a lot of outdoor seating at downtown restaurants. Provo has considerably expanded outdoor seating recently — eaters can now sit outside at Gloria's Little Italy, Gurus, Station 22, etc. 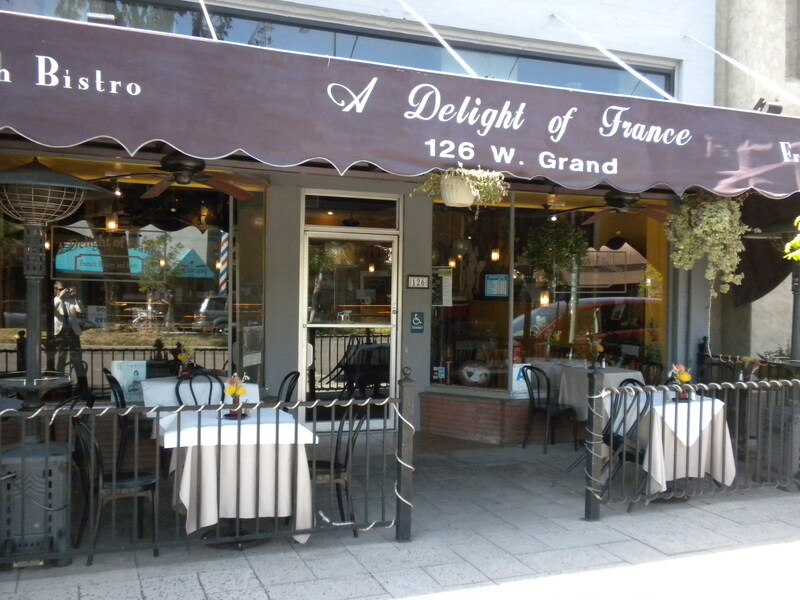 — but in Escondido most outdoor seating was surrounded by iron fencing. Sitting outside at Gloria's can feel bit awkward because it's so exposed to the rest of the sidewalk. However, a setup like the one pictured allows restaurants to take advantage of outdoor seating while still creating intimate and comfortable spaces. Downtown Escondido has a higher speed limit than Center Street in Provo. The center median on this street is also much smaller than the one in Provo. 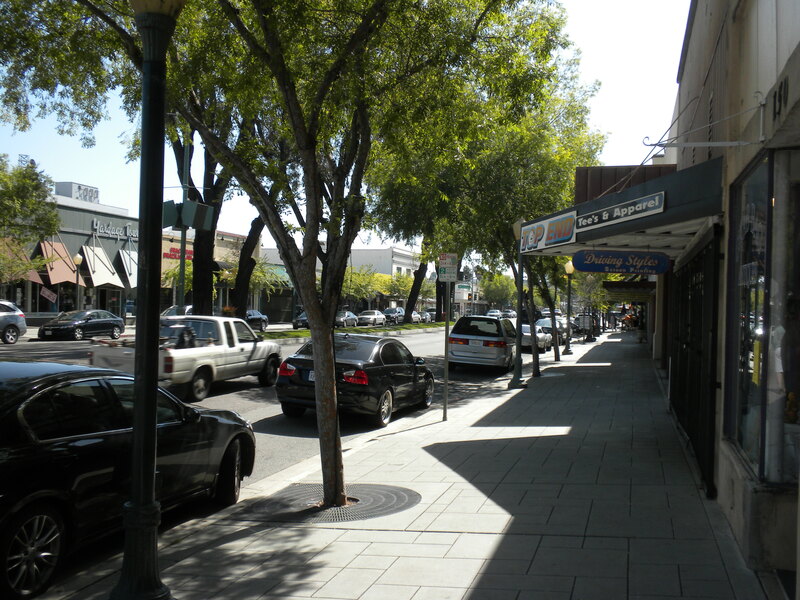 The result is that downtown Escondido feels like a busier, less inviting street to walk on. The street in this picture also has many trees, but they appear to be younger — or at least smaller — than the ones in Provo. 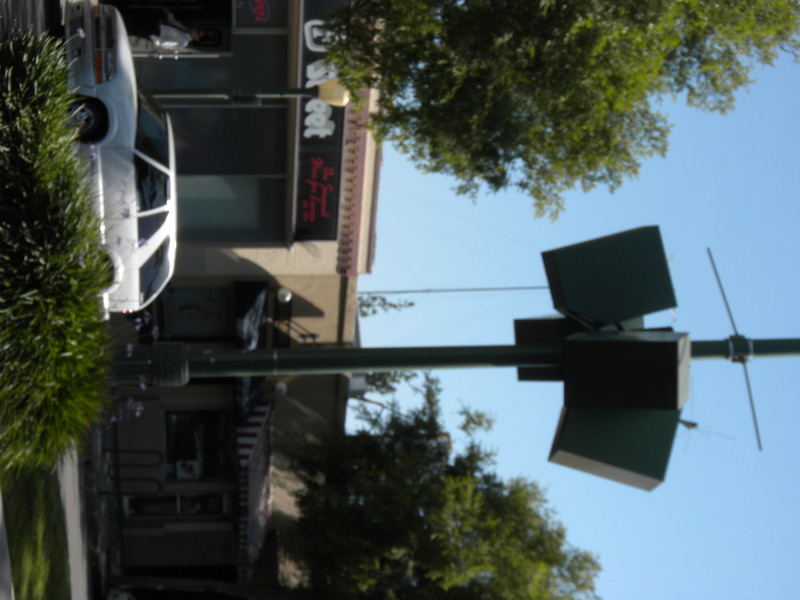 This picture turned out a little blurry, but those are speakers mounted to a light pole. They help create a more convivial atmosphere, especially during Escondido's "Cruising Grand" event, which brings in classic cars — as well as crowds and their money — every Friday during the spring and summer. 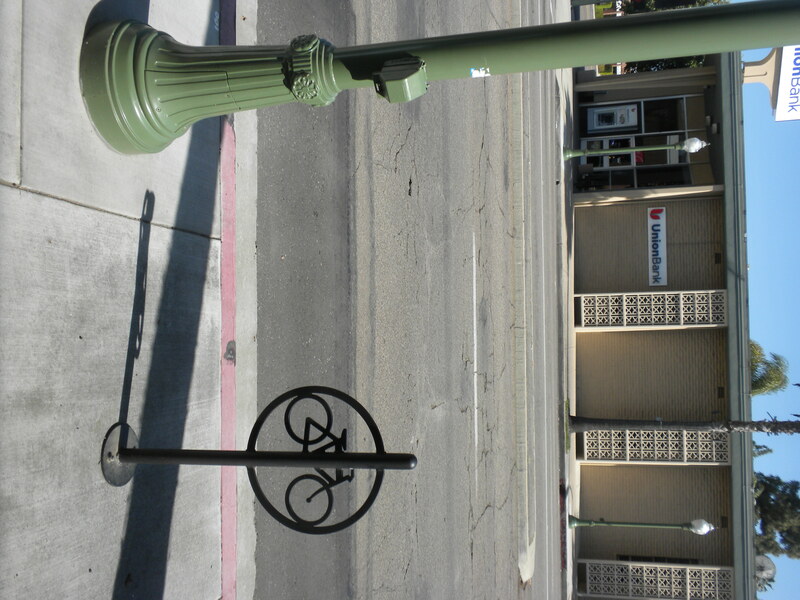 Downtown Escondido has a bunch of cool bike racks like this one. Parking in downtown Provo is a breeze and requires very minimal effort. 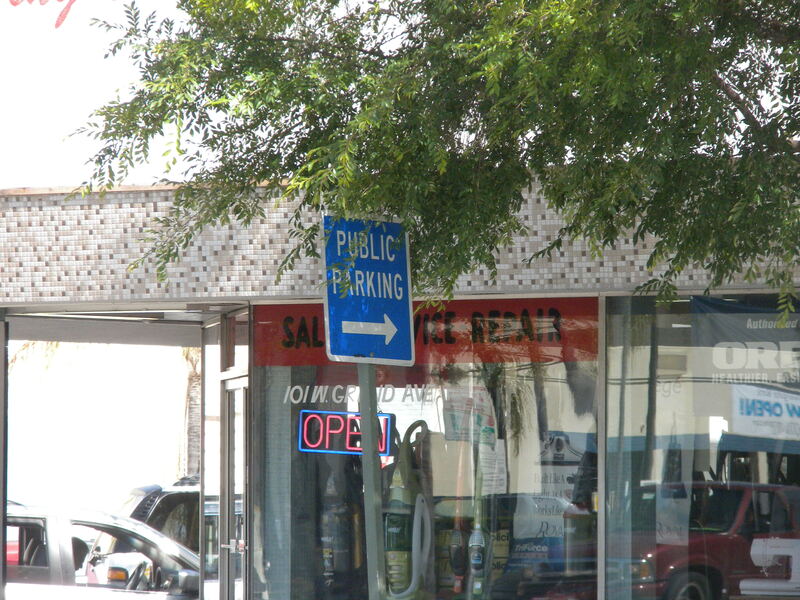 However, people always complain about parking so perhaps the area could use more signs like this one in Escondido. These sorts of signs are strategically placed all around downtown Escondido. And unlike this one not all of them are partially obscured by trees. 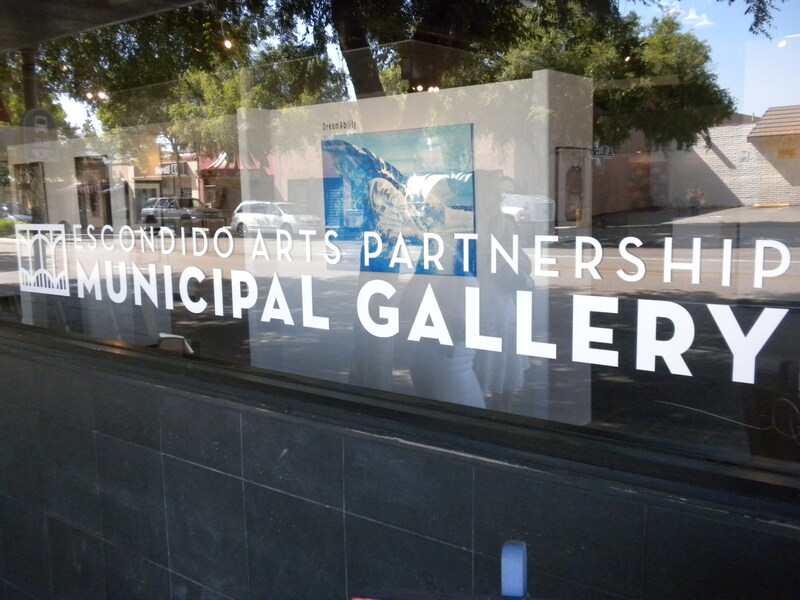 Downtown Escondido has a publicly operated art gallery. 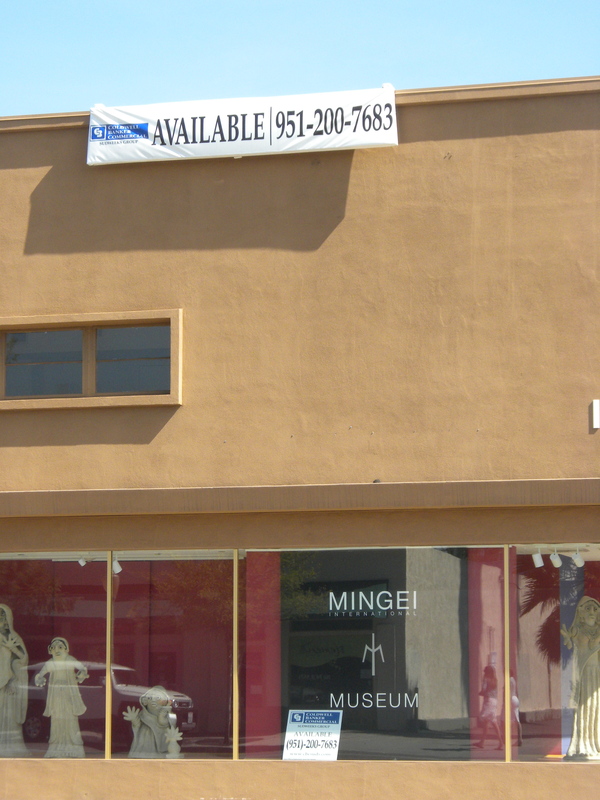 Downtown Escondido used to have a museum call the Mingei. It wasn't my absolute favorite museum in the world, but considering its location in a quiet San Diego suburb, it was really quite remarkable. Unfortunately, the museum closed "due to the uncertainty of the current economic climate and lack of sustained patronage." I that's think is a sad commentary on the relatively wealthy surrounding community. Big street markers aid in wayfinding by identifying streets and by serving as visual landmarks. 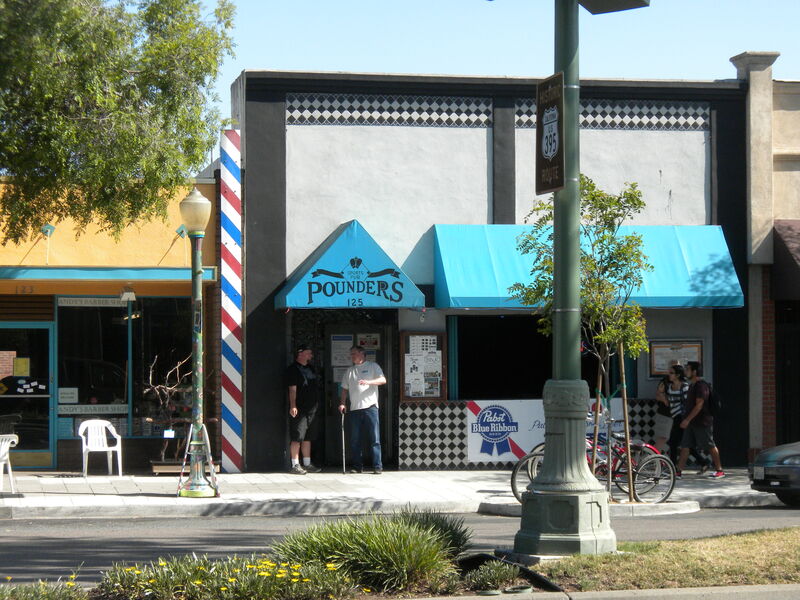 Downtown Escondido has many bars, which seemingly are patronized by decent, respectable-seeming people. This particular bar served drinks through a window onto the sidewalk. 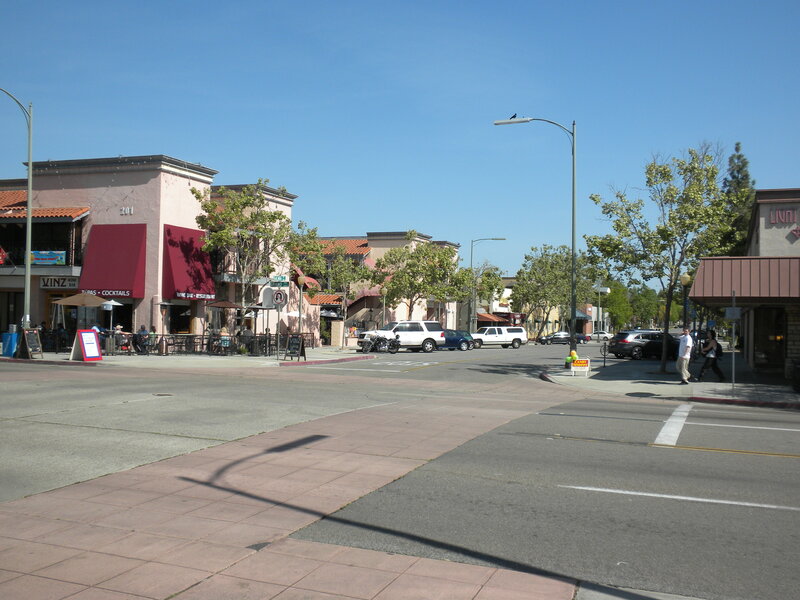 Like parts of Provo, downtown Escondido suffers from big, wide streets and intermittent ugly buildings. Neither of those elements are particularly conducive to walking. 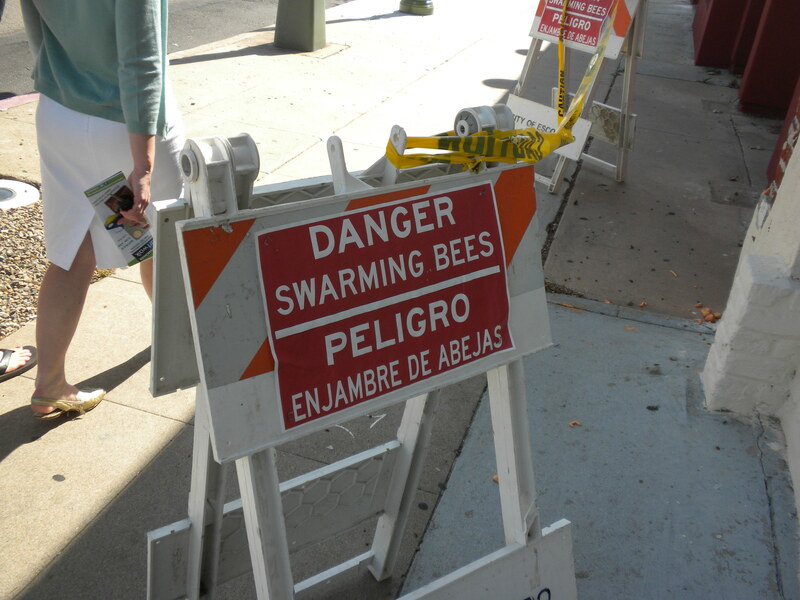 Next time someone starts trash-talking downtown Provo, point out that at least none of its buildings are overrun by swarming bees, as was the case in downtown Escondido. Walk Score recently ranked the best American cities for public transit. No Utah cities made the cut, but in fairness no city did perfectly and some on the list didn’t do well at all. But transit use is also more common in knowledge-based metros with greater shares of the scientists, engineers, techies, artists, designers, and professionals that make up the creative class. Metros that are well served by transit also gain on the economic development front. Commuters can work on transit, as opposed to in their cars, improving their well-being and boosting productivity, according to other research. And metros with good transit systems gain a big edge in attracting younger people who favor cities with transit, where they can save money by not having to buy a car. This provides yet more evidence that public transit is a key component for cities like Provo to consider as they work to build up their economies. The Utah Valley Earth Forum recently surveyed the cities of Utah Valley to determine how they are doing with environmental stewardship. Not surprisingly, Provo took the top spot. 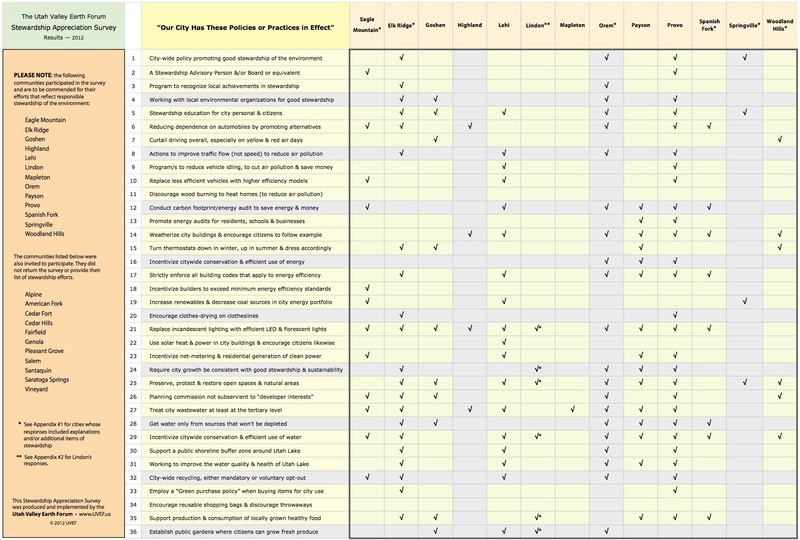 According to the survey, Provo participates in 27 of the 36 categories. The next best cities are Orem and Elk Ridge, both with 21, followed by Lehi, with 18. Click on the image below to see the full results, or visit the website linked to above. These survey results are encouraging. I’ve been arguing for months on this blog that Provo is making serious progress when it comes to ecological stewardship. I also believe those strides should be a bigger part of the city’s brand. This latest survey puts some data behind that idea. But before we all pat ourselves on the back, it’s worth remembering Provo still has a long way to go. For one, the city could work to comply with all 36 categories, and of course it could also continue progressing in areas not covered by the survey. I’m also not sure how the cities decided which activity to report. For example, Provo supposedly is doing something to “encourage clothes drying on clothes lines.” However, I’ve never personally been encouraged to do that, I’ve never seen any information on it, and I almost never see people actually drying clothing on clothes lines. The lesson, then, is that even in the areas where Provo excels there is clearly room for improvement. Downtown Provo. 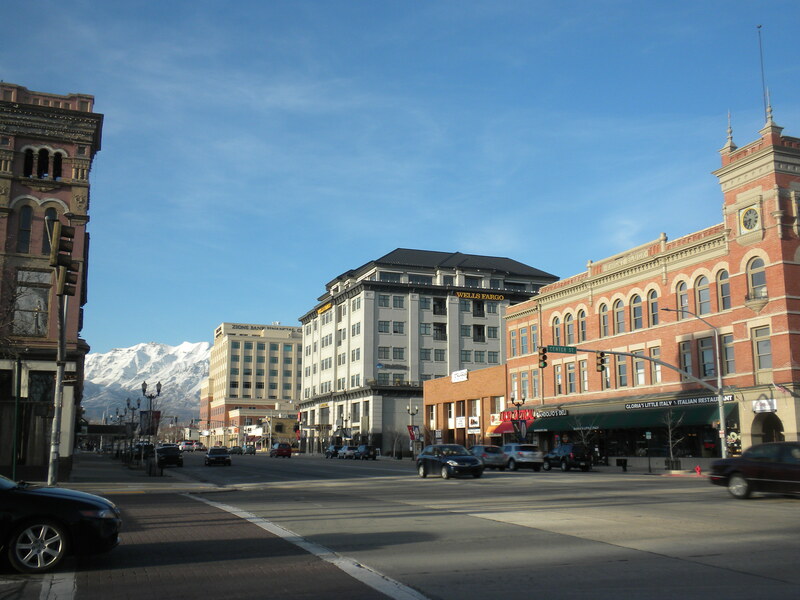 The city leads Utah County in environmental stewardship. The area south of the new temple will contain parking spaces and park-like grounds to accommodate patrons. In addition, Bishop Davies said, there will be a stand-alone facility near the temple, similar to the one found at the Salt Lake Temple, where guests can wait during weddings and other ceremonies. That quote — which comes from the very end of the article — doesn’t necessarily mean a visitor’s center per se, but it does mean that there will be additional buildings on the temple campus. It also sounds like the building in question will be a more public space, which in practice is getting pretty close to a visitors center. Whether it’ll be simply a holding facility or a more engaging structure remains to be seen, but either way this revelation is a positive development. 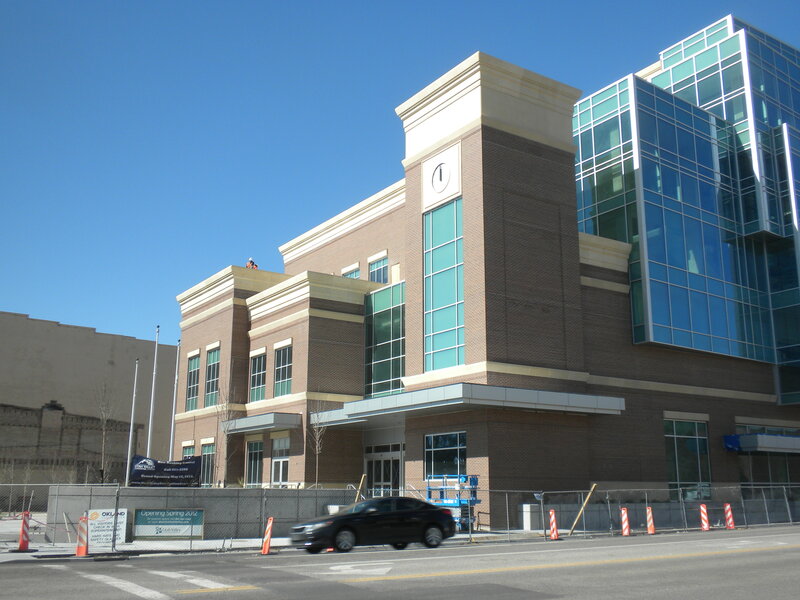 An LDS Church news article recently revealed that the upcoming Tabernacle Temple in downtown Provo would have a building for guests to wait in during weddings and other events. The Provo City Center Temple will include art glass, finials, and other hardware that were salvaged from the remains of the tabernacle. The LDS Church is notorious for its tight-lipped public relations, so it may be a while before there’s any news about the visitor’s center-esque building. But at least for now it appears that there are a few surprises on the horizon.